With the establishment of sites like Airbnb, more and more vacationers are looking to increase their experience by renting out a unique place to stay. Hotels are beginning to take a backseat to a more niche selection of accommodation. 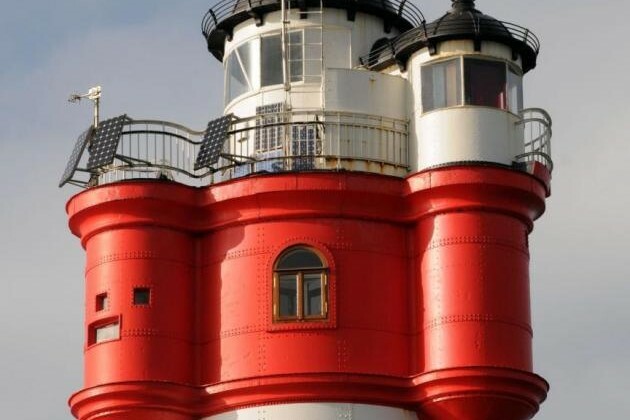 Recently made a viable option, lighthouse “hotels” are now popping up all over the world’s coasts. Here are just a few reasons why you should consider staying in a lighthouse on your next holiday. Uniqueness is the number one reason why you should replace the standard hotel for a night or two in a lighthouse. You’ve probably stayed in a hundred hotels over your lifetime, and it’s doubtful that you really remember more than a handful. Accommodation in the form of a lighthouse is something that you won’t be quick to forget. It will take a part of your vacation that is often not paid much mind and turn it into the focal point of your holiday. Travel is about experience and what better way to try something you’ve never done before than to stay in a lighthouse? Used as a beacon, lighthouses are always situated at the point of fantastic views. You will be sleeping at a vantage point to best see the stars and the sea. Wake up to effortless sunrise views, watch the ships go by in the harbor or bring a set of binoculars to spy on the birds and occasional jumping dolphin. You will have a front row seat for the sunset and a great place to view the moonlit waters and starry skies. Hotels, even a lighthouse version are marketed to be comfortable to guests in all of the obvious ways. However, a lighthouse is unlike a hotel as it will be accommodating only you! There won’t be noisy neighbors, crowded lobbies or general chatter that typically drifts around hotels. You will have your own private getaway with whoever you choose to bring along. It will feel more like a cozy home rather than a sterile and shiny building with beds. Not only will there be no neighbors and noisy common rooms but there will be barely any staff wandering around as well. You won’t have to worry about cleaning staff knocking on your door or tipping doormen and baggage handlers. It is standard for lighthouses to be located away from most other buildings and traffic so you won’t have much more noise than the crashing waves coming from outside your windows. Lighthouses are notoriously situated in fantastic locations. You will be surrounded by lovely views and soothing sounds of the sea and have immediate access to the shore. Step out of your door and lay on the beach or hop on a boat to explore the waters yourself. You can go fishing, kayaking and sailing and be right at the source for all of the local and fresh seafood that you could want to eat. If you want a chance to spice up your vacation, choosing a lighthouse as your accommodation is the first step. Hang out in a cozy hideaway with stunning views, easy access for exploring the coast and an experience that will be tough to forget.